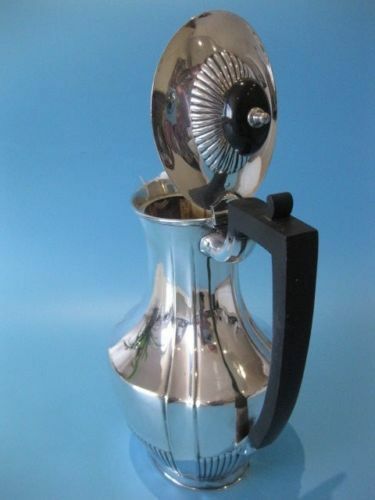 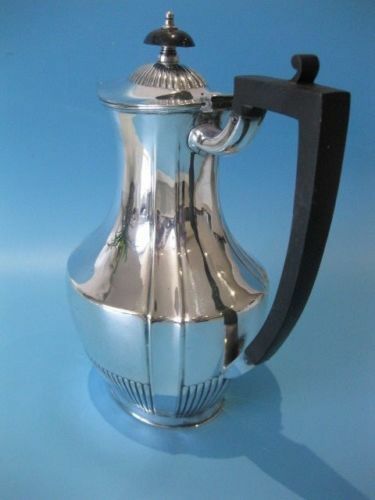 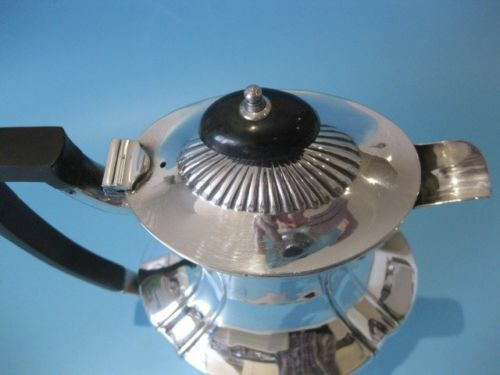 This wonderful coffee pot has a large slide harp-shaped handle in black Bakelite, with a pinnacle in black Bakelite on the hinged oval lid. 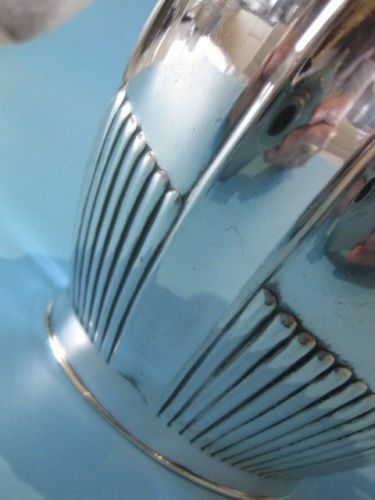 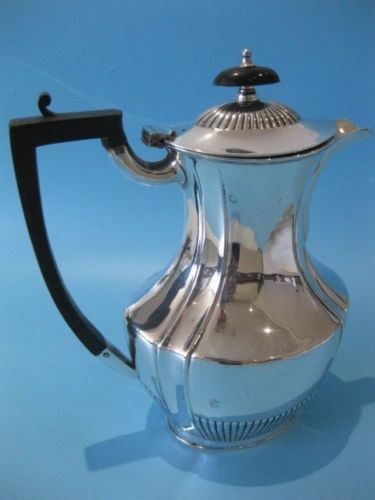 The handle is undamaged, it is firmly fixed and the hinged lid works perfectly, base is marked on bottom with the brand name 'P Brothers EPNS' and a Reg. 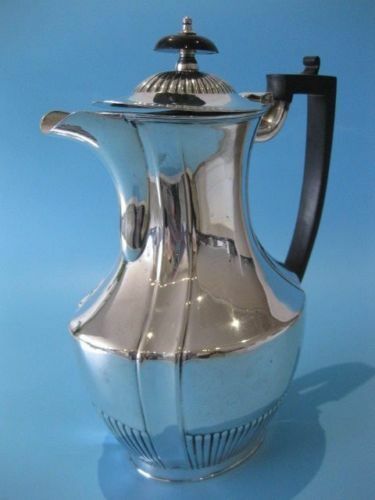 number 3074, manufactured by Master Cutlers and Silversmiths Pinder Brothers, active at 142 Rockingham Street Silver Works 1885 - 1892 moved then to 48 Garden Street Sheffield from 1892 to 1940.
height 27 cm including handle x 21 cm spout x 12 cm at widest point. 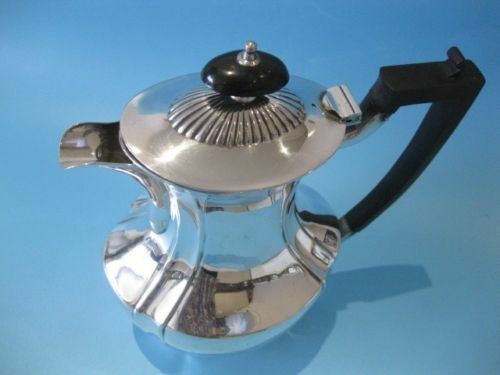 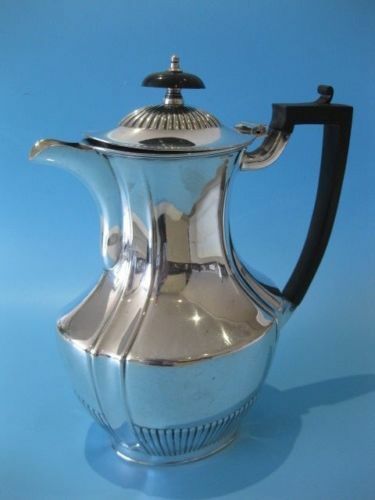 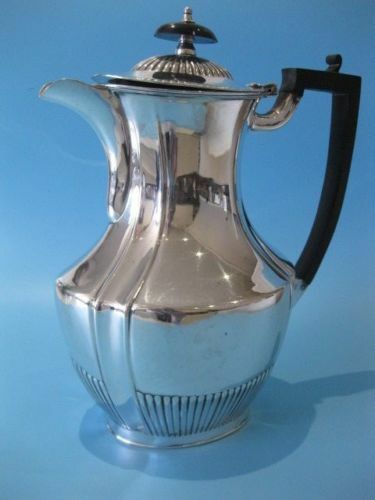 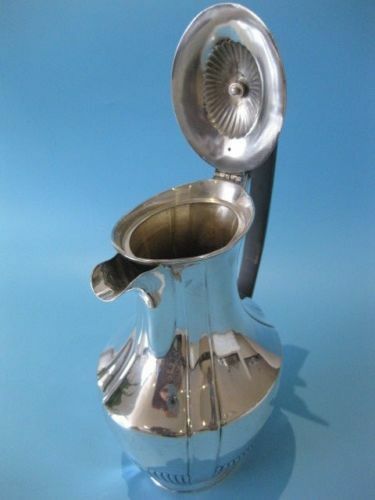 Georgian style teapot, silver-plated with Bakelite pinnacle and handle, c. 1910, capacity 2.5 litres.